There’s something romantically nostalgic about wandering down to the neighbourhood bakery and eyeing up all of the beautiful cakes and bakes, before selecting your favourite to enjoy over a cup of tea or coffee. Something which seems to have slipped by the wayside in recent times, but something we whole-heartedly think should be brought back into the light. Slow down, enjoy the moment, eat the cake. So, where can you go to get a freshly-baked cake in Birmingham? Introducing The Early Bird Bakery. 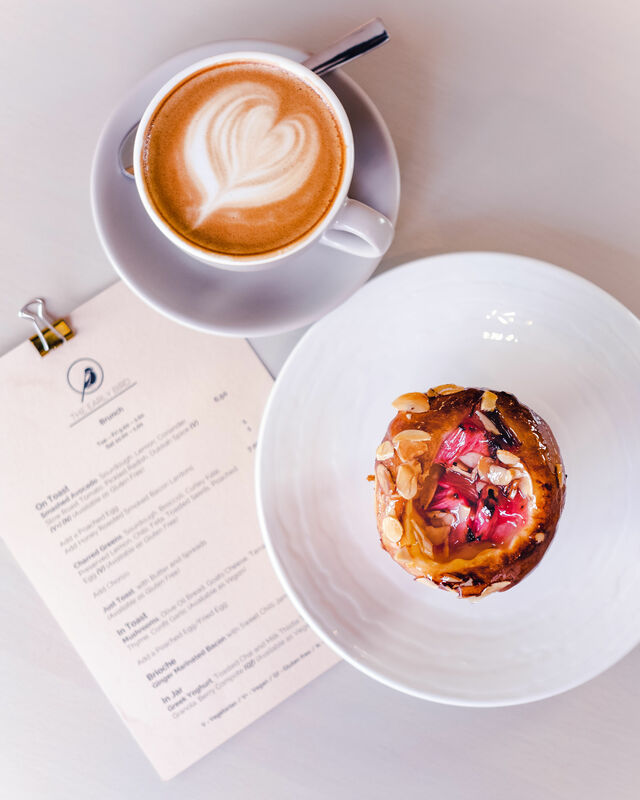 Located on Kings Heath High Street, The Early Bird Bakery is an independent bakery and speciality coffee shop, specialising in fresh baked goods and delicious brunch. If you’ve been looking for a brand new spot to sit and enjoy a seriously tasty brunch with friends, or sip on a coffee and munch on freshly baked cakes as you watch the world go by, then stop looking, you’ve found it. The Early Bird Bakery in Kings Heath is THE ideal place to fulfil all of your café needs. Owners (and brothers) Tim and Joe and chef Tim met at the Birmingham Coffee Festival a few years ago. Chef Tim had travelled all over the world, working as a chef and a pastry chef in numerous countries, gaining a vast wealth of experience and inspiration. Wanting to use this knowledge and skills to create something special of his own, and after meeting Tim and Joe, the three decided that what Birmingham really lacks and needs is somewhere to buy truly fresh, delicious cakes. There aren’t many places in the city where you can eat a cake that has been made that morning, on the premises, with super fresh ingredients. This is what they set out to achieve. Enter: The Early Bird Bakery. 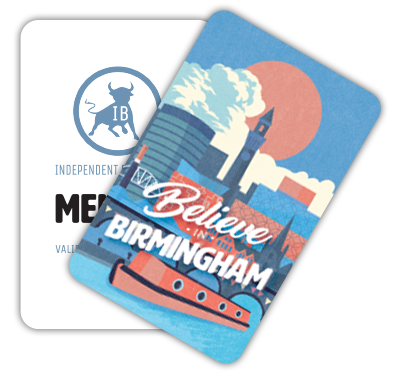 Having found their location in Kings Heath, they joined the ever-growing throng of indies opening their doors in the up-and-coming suburbs. 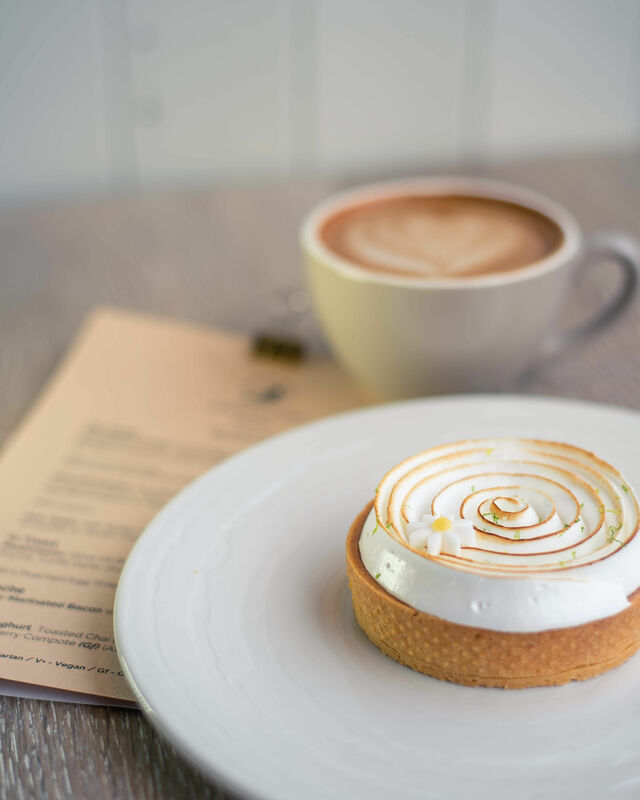 Since opening their doors in November 2018 they’ve been quietly making waves with the locals, with their tempting bakes and scrumptious brunch dishes. They’re already full to the brim on weekends, and we’re sure they’re soon to receive cult brunch destination status. The focus here is on high quality, fresh ingredients, with all of the food being made in-house each day. There aren’t many places in Birmingham where you can walk in, grab a coffee and a cake, and know that cake was baked right there, that morning. It’s a truly special thing to eat a freshly baked cake, and something we think is highly underrated. 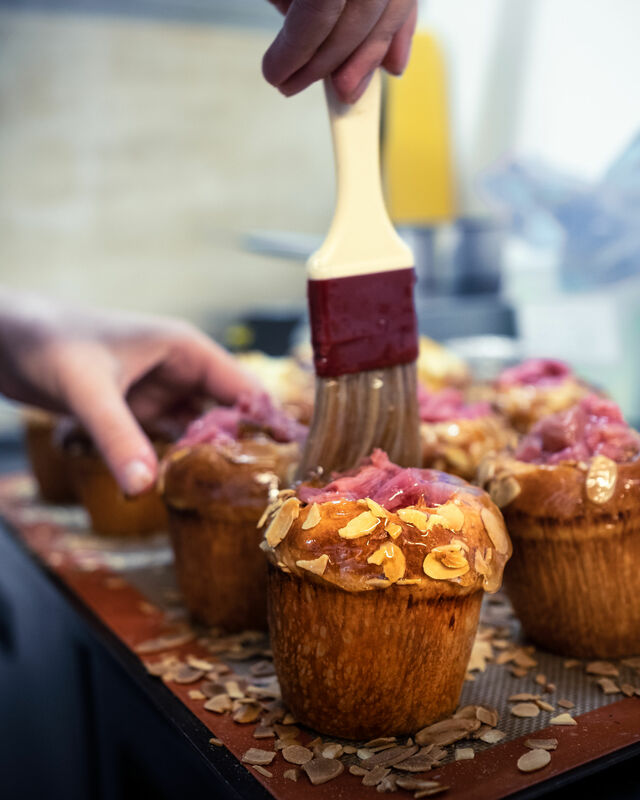 From traditional cakes with a twist, cruffins, muffins and all sorts of pastries – you can get it all. Creative baking at its finest. 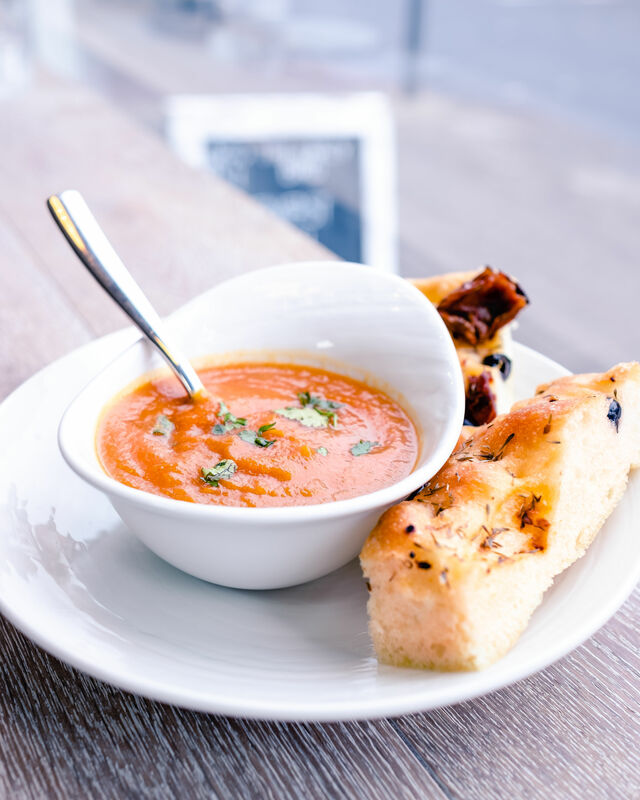 At Early Bird Bakery, they also specialise in serving up fresh, exciting brunch dishes. We know you might be thinking, “brunch, how original?” right? But hear us out. This isn’t your standard avocado or poached eggs on toast type brunch. Sure, they have avocado on toast (but served with slow roasted tomatoes, pickled radish and their own dukkah spice, um hello), but they also offer other delights such as brioche with ginger-marinated bacon and sweet chilli jam, and mushrooms in toast (yes in, not on). If this brunch menu doesn’t spark you with excitement and lust, we think there might be something very wrong with you. The piece-de-resistance on their brunch menu though is the heavenly cinnamon roll French toast. Born from a desire to reduce waste in the business (bravo, Early Bird), and not wanting to throw out any un-sold cinnamon rolls, this godly dish was designed. Light, fluffy cinnamon rolls, lovingly created into the most delicious French toast dish you’ve ever had the pleasure of putting in your mouth, served with burnt orange, mascarpone and pecan praline (oh, that pecan praline!). This is a dish that is 100% going to reach cult status and will have visitors flocking (pun intended) to Early Bird to devour it week after week. A truly spectacular and unique dish, we urge you to go try it for yourselves. 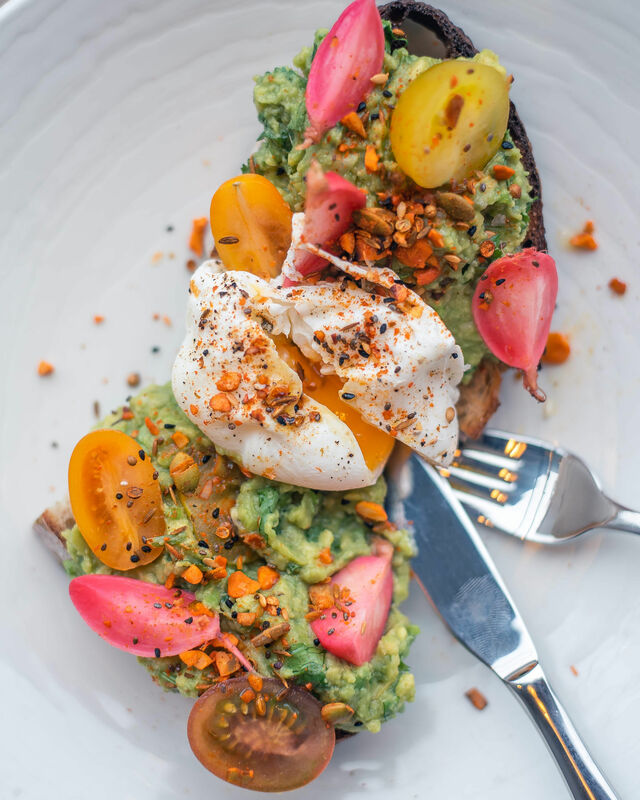 With a regularly changing brunch menu, to reflect the availability of ingredients and to keep things fresh and exciting (and reduce waste where possible), and a light, bright and welcoming café space, you’re sure to love it here. The brunch menu focuses on simple dishes, done well, with the freshest ingredients and the food is definitely the highlight of this great new indie. With speciality coffee from Hundred House Coffee (a Midlands based coffee roasters) and a selection of teas and hot chocolate, you’ll also find something tasty to accompany your food and quench your thirst. Oh,and we hear they knock up some banging lunches too. Really, you have no excuse not to visit. Go get your brunch on, and then grab a cake for the way home too. You know you want to.